A recently declassified letter from a U.S. ambassador to Iceland in August 1960, published this week by the National Security Archive, shows that U.S. government officials debated whether to deploy nuclear weapons in Iceland – and whether to tell Iceland or not. The author of the recently released letter, U.S. Ambassador Tyler Thompson, argued against deployment, recognizing that Iceland’s ties to NATO and the Western security system were fragile, and that if Reykjavik learned about a secret deployment, it could leave NATO. Furthermore, a “dramatic row” could “be expected to have an unfortunate effect on our friends and allies, to affect adversely our interests as far as neutrals are concerned, and to provide a propaganda field day for our enemies.” The U.S. ultimately rejected the idea, but the revelation that internal discussions took place adds to public knowledge of the broader issue of U.S. nuclear deployments overseas (not to mention nuclear duplicity) during the Cold War. 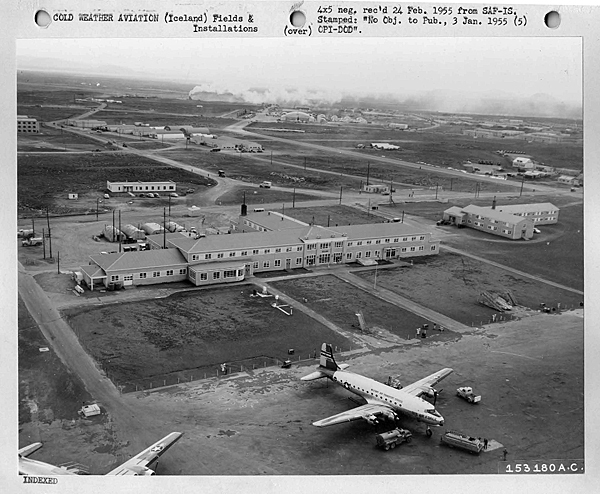 Archival documents discovered by an Icelandic historian and published by the Archive also show that the United States had plans for at least one nuclear weapons storage site in Iceland if World War III were to break out. A joint panel of Republicans on the House Armed Services, Intelligence and Appropriations committees have found that CENTCOM “regularly produced intelligence that distorted the results of the campaign against the Islamic State, suggesting that command leaders shaped analysis in a way that resulted in a more upbeat depiction of the war.” House Republicans began looking into the matter last summer after a civilian intelligence analyst complained that intelligence was being distorted. 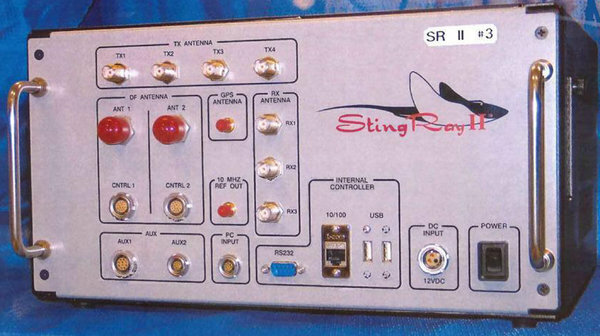 The Pentagon Inspector General is currently conducting a separate investigation into the matter. Aftergood also posted the Defense Department’s Chemical and Biological Defense Program’s (CBPD) 2016 Annual Report to Congress, which he obtained through FOIA. Among the report’s highlights is the role CBDP funding provided in the Food and Drug Administration’s 2015 approval of a drug “to be used as a countermeasure against Yersinia pestis, the biological agent that causes bubonic plague.” The scope of CBDP’s research is expected to shrink, however, due to budget cuts. 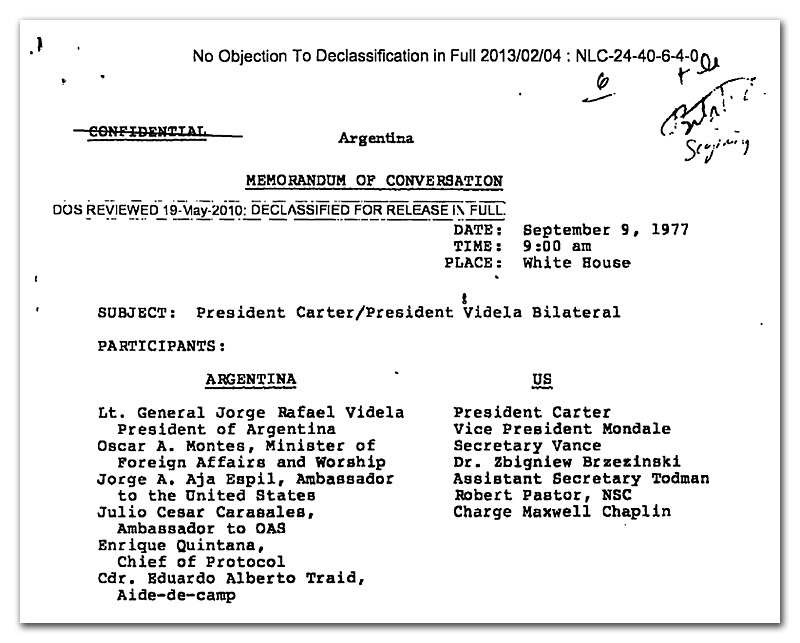 Last week the Archive posted a selection of eight key White House and State Department records from the Obama administration’s release of previously secret documents on Argentina during the period of its “dirty war.” President Barack Obama promised that several additional releases would be made in the coming months. Among the records are memoranda of conversation between Carter and Argentine junta leader General Jorge Videla, as well as materials revealing Carter’s personal intervention in obtaining the release of renowned newspaper publisher Jacobo Timerman. The documents also include new evidence about the consternation of U.S. officials at former Secretary of State Henry Kissinger’s efforts to challenge Carter’s human rights policy which, in essence, sought to repudiate Kissinger’s previous embrace of military dictatorships in Latin America and elsewhere.